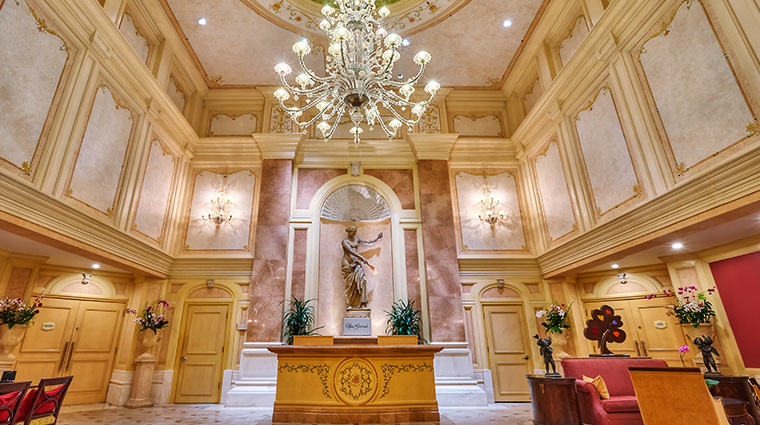 Covered in inlaid Italian marble, mahogany millwork, Venetian chandeliers and original art, Spa Grande at Grand Wailea exudes elegance. But as you enter the airy, large lobby and explore the rest of the property, you will be more struck by its sheer size; spread across two floors and 40 treatment rooms, the 50,000-square-foot facility is the largest spa in Hawaii. But the Grand Wailea, a Waldorf Astoria Resort spa's magnitude doesn't detract from the service. Spa Grande delivers memorable, unique experiences even before your treatment starts. 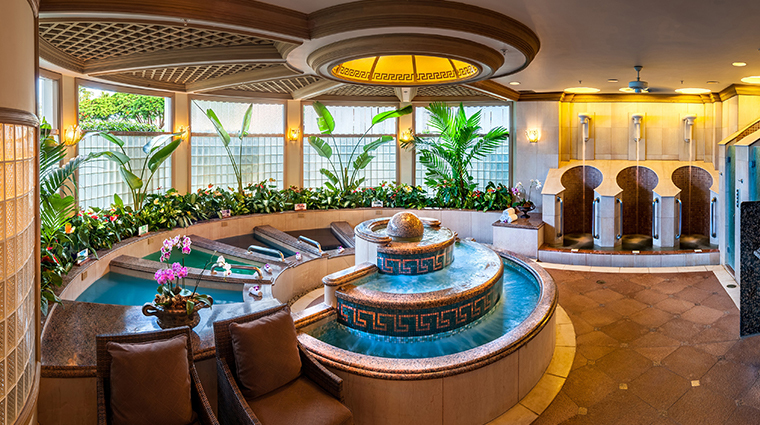 One of our favorite parts of the Four-Star spa is the excellent water therapies. An extra hour is added to every Spa Grande treatment so that you can partake in the complimentary Terme Wailea Hydrotherapy. You’ll begin with a honey-mango body scrub performed by one of the attendants. Then make the rounds among the enticing water therapies. After your treatment, bask in the afterglow in the quiet dimly lit indoor lounge, or get fresh air in the terrace and take in views of the beautiful palm-fringed reflection pool and Pacific Ocean from a cushioned chaise lounge. The family-friendly spa offers several keiki services for ages 6 to 12 like the Chocolate Tsunami (a 25-minute chocolate-laden massage, mani and pedi), and ones for teens, like the Kokoleka (a chocolate body polish, chocolate rubdown and facial each in 25-minute sessions). You’ll find any salon service you need at the Wailea spa. Cuts, blowouts, coloring, updos, makeup and eyelash application, beard/mustache trims, waxing, gel manicures and pedicures are among the offerings. Don’t miss the Maui section of the water therapy area. 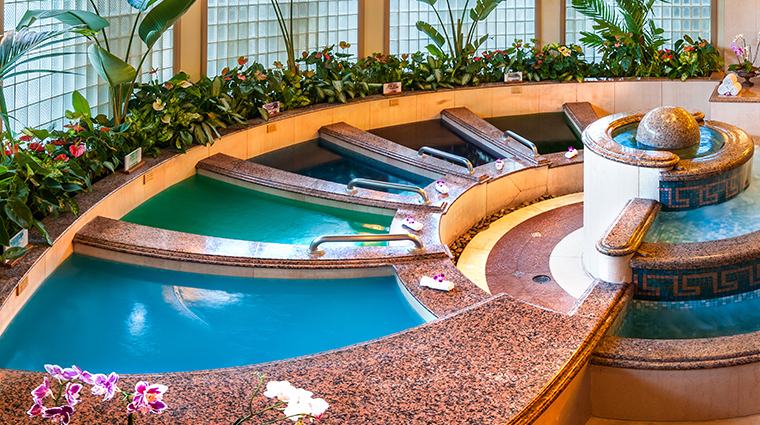 Stand under 10-foot-tall waterfalls for a neck and shoulder massage while the whirlpool jets work your hips, calves and feet. If you don’t want to be cooped up inside, enjoy a cabana massage near the adults-only pool. For more tailored fitness services, reserve personal trainers, private yoga or meditation sessions, or game time on the convertible racquetball/basketball court. Relax in five individual aromatic baths — each promises to cure specific ailments with a mix of essential oils. For example, the Rainforest soak soothes irritated and sunburned skin with a variety of natural oils along with organic Hawaiian plants, including taro, Hawaiian red clay and noni. Among the many treatments, try the Hawaiian services. Some of the most popular options include the Honey Macadamia Nut Indulgence (a wrap and rubdown using honey macadamia nut butter) as well as an exfoliating Maui sugar cane body polish. There’s a full slate of facials, including an ESPA service that is customized to your needs, a hydrating vitamin C option that spurs collagen production and provides antioxidants, and one that targets men’s skin. The Tropical Paradise For Two treats twosomes to exfoliations, body wraps, a couples bath, body-butter massages, pedicures and lunch in a couples suite. There is a Western area that’s common in most spas, with a whirlpool and a cold plunge, a dry redwood sauna and a eucalyptus steam room. What’s not so commonplace is the Japanese section of the water therapy area, whose Furo baths have hot and cold plunges. Hit the gym for a workout on the treadmills, stair climbers, recumbent and upright bicycles, elliptical trainers and Paramount strength-training equipment. Spa Grande at Grand Wailea is the largest spa in Hawaii at 50,000 square feet with 40 treatments rooms and the massive hydrotherapy circuit.